Could Gambling On Grades Motivate Students? (LOS ANGELES) CBS It's time to get back to school, which isn't always an exciting prospect for many students. 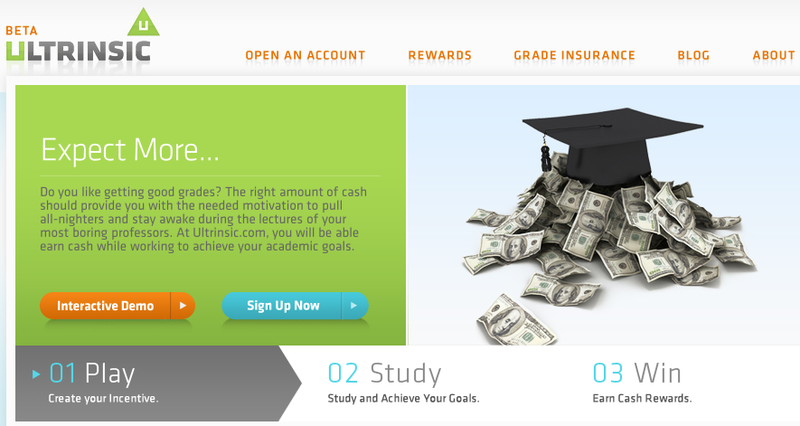 But a new site called Ultrinsic.com wants to change that by allowing students to gamble on their grades. How does this work exactly? All you have to do is log on to their site, include a transcript for a background check, add classes, what grade you want to get and a certain amount of money you want to wager starting at $25. You can get more money for A's, less for B's and so on. If you reach that goal at the end of the semester then you'll win that amount. If not, like any bet, you lose. Him and his partner Jeremy Gelbart came up with the idea after a 20-dollar bet that Jeremy wouldn't get an A on an upcoming test. That was enough incentive for him to prove his friend wrong. Jeremy studied, got an A and even won 20 bucks. What if they could create that same result with other students? So began the idea behind Ultrinsic.com. While some look at the idea of gambling in a negative light, both founders see a positive impact to the idea behind what they're doing, "we give an ulterior motivation that creates an intrinsic love of knowledge." Shira Lazar is the Host and Executive Producer of CBSNews.com's new weekly live interactive show and 24/7 news hub, "What's Trending".